Some people think that a person can never understand a culture of the country unless they speak the language. Understanding one's culture is a significant issue nowadays. Making headway with this especially the pressure of modern life, some are convinced that speaking the language is the way to learn the culture. Language is pivotal, but I believed that there are more significant things that a people can bear in mind when adapting the culture. Language is important for us to live comfortably especially to a non-English country. It is very hard to start your life if you can't even understand what they are talking about. For instance, buying at the store whereas some have their own alphabets also and you cannot understand even just single letter. Another example is if you want to ask some directions and you don't know what they are saying because they are using body language too. However, there are many more ways which I think can help people more to know the culture. Moreover, there are conservative countries where you need to cover your hair as well as your skin and you are required to wear abaya which is a black long dress along with a black veil-like head garment. In addition, you also need to follow some religious aspects like prayer times which is 4 times daily. All stores are closed during these times. However, there are also things you need to avoid when it comes to socialization. A single lady is not allowed to go put and to have fun with a single man. It is only permitted if you are accompanied by a couple and you are ready to present some proof of relations whenever you came across with some police. Pork is not allowed in this country. In conclusion, language is not the only way to learn a culture but there are more important things like following rules and regulations when it comes to clothing, socializing, religion and food. Hope you can rate and correct this Culture Essay. 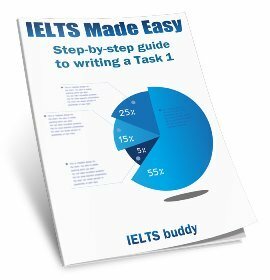 What do you think is the band score on this kind of essay? As an examinee myself, I think your vocabulary is better than I do. However, I may not be in the position to say this but the coherence is a little bit off. I took the exam recently, and got 6.5. Thus, I am undergoing writing sessions and I realized most of my essays are going off track which maybe the reason I got 6.5. 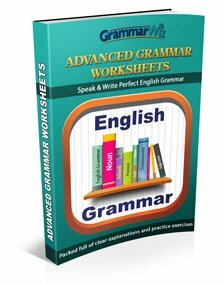 Couple of years ago, I was able to achieve a band 7-8 for writing and my vocabulary & grammar were just average. In multi-cultural societies, people of different cultural backgrounds live and work together. 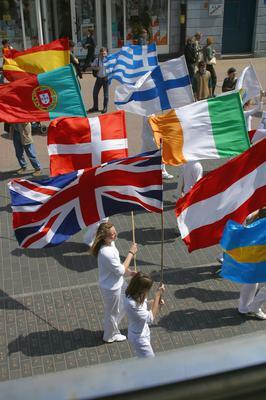 Do you think the advantages of multi-cultural societies outweigh the disadvantages? Globalisation has given the world to come closer and today we can experience several cultures staying and working at a common platform. A multi-cultured group brings a wider area of learning, celebration, and a well living environment. Similarly it creates some resistance in the society because of certain group of people being bigot. I think a place with people carrying so many cultures has a enormous benefit than drawback. When several cultures come together we all feel happy in learning new languages. We participate in events and festivals. This brings people coming closer to each other and adopting new style of living and working. Some of the orthodox style are replaced by new and pragmatic way. For example, In India we had a brutal ritual of burning lady who lost her husband. This was objected by the British empire first and later got stopped. Similarly the language which is in demanded across the globe, been learnt by Indians. The advantage of it is very evident now. Having said that, mixed culture also creates a lots of hindrance mainly by the people in the society who are not open to learn and accept. Bigot people are pivotal for such situation as they abhor others culture. They initiates and participates into a negative aspect of racism where people fight and in some instances becomes the reason of riots among different cultured groups. However this is only when we have more people with less knowledge and are illiterate. In conclusion, despite of some challenges which a mixed cultures can bring to the society can not overweight the benefits. The evolution of our race and the world we see today is the result of different cultures being together exchanging the knowledge and way of living. How good do you think this Multiculturalism Essay is? 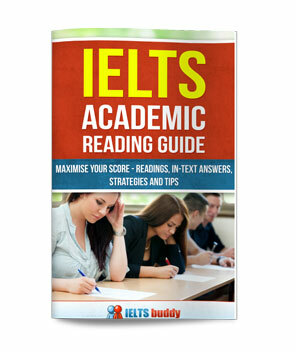 Would it score high in IELTS and how can it be improved? Please feedback below to help this student improve their score. 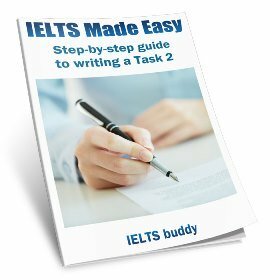 Overall essay is moderate and ideas too... but plz provide easy words. Why I'm telling is some people are beginner so they can't understand quickly. The best way to understand other cultures is to work for a multinational organisation. There has always been a keen desire in people to gain knowledge about culture and tradition than there own. Whilst some people have the opinion that their relentless inquisition about vivid cultures can be satiated by working in a multinational organisation with people from diverse backgrounds, others have a different point of view. It is certainly understandable that working with people from various cultures opens up the venue for understanding their cultural whereabouts. To begin, interacting in a diversified cultural atmosphere provides the opportunity to know in-detail about them. For instance the festivals they celebrate, cuisines they cook, their folk dance, clothing, lifestyle etc. Additionally, one can learn a lot about their language and dialect. However, there is another view to it. People believe that workplace is a place to work, not learn. It is about their profession and they are not comfortable getting personal in such an environment. Furthermore, people don't appreciate talking about their backgrounds socially. They, for instance, have reservations to discuss about where they come from in fear of getting bullied later. To conclude, it is true that working at multinational organisations unblocks the gateway to unfamiliar cultures, however it is not the best way to gather information. In my view, reading books, travelling, making friends on social media are far better ways to get in-sight about different cultures. Cultures around the world today are more similar than they used to be. In today’s society, people find that culture in everywhere becomes standardisation. There are several reasons that cause this happen, and there are both advantages and disadvantages in relation to this trend. Media is thought to be the main reason that affects culture. Nowadays, most Asian countries can easily access to western culture through media platforms. For example, people are more likely to enjoy watching Hollywood movies rather than movies produced from their own countries. Additionally, tourism and migration are another factor that can have impacts on people’s beliefs. Those who have studied or traveled around the world could adapt to different lifestyle from other countries. For instance, people become independent in many ways including living alone and not relying on their families, because they have used to the western lifestyle when they went abroad. However, it may cause people’s concern that exposure to western culture from media could hinder the use of language of a country. If audiences are constantly watching foreign movies, especially with the language of English, their native language may be abandoned as they speak and read in English predominately. Nevertheless, I believe that it is a positive trend that people could adapt to the other’s culture. For example, Asian food such as sushi is widely accepted in many western countries, and they are not only love the food but also enjoying using chop sticks. Therefore, food becomes a bridge that is connected between western and eastern, allowing people to have fun by sharing the other’s culture. In conclusion, various reasons can cause culture become more similar, and I believe that the benefit of this development outweigh its drawback. I'd appreciate any feedback for my globalisation essay on culture. It is a very good essay from my view on culture which provides essential knowledge. Please correct me if I am wrong but I think the word standardisation should be replaced with standardised?